Xaxaba offers the best of both land and water game viewing; where guests can indulge in mokoro trips, boating, fishing and walking safaris. 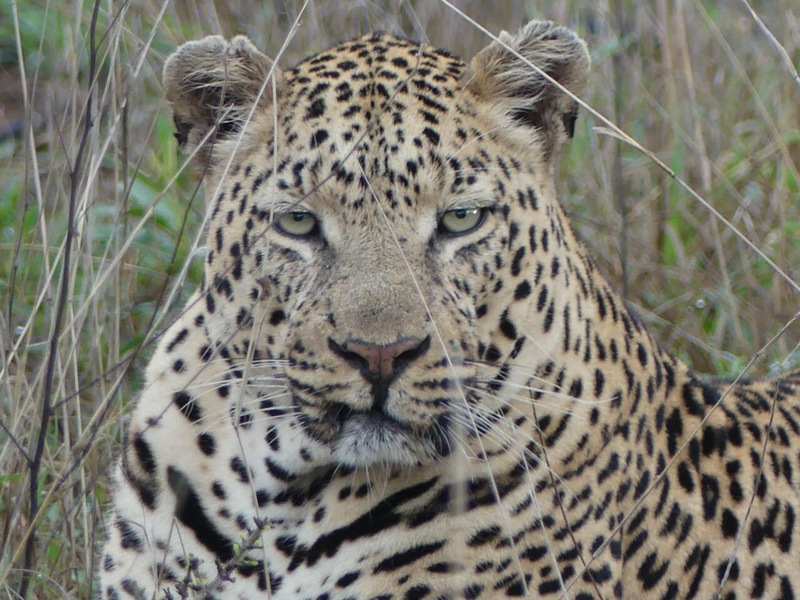 The safari experience is all encompassing in that it offers the best of both land and water game viewing. The ethos at Xaxaba is to keep a low carbon footprint, so all game activities are gentle on the environment. Walking Safaris This is the way to experience Chief’s Island in the Okavango Delta. On foot with a guide who knows the area like the back of his hand. Mokoro Safaris The traditional dug-out wooden canoe utilised especially in the Okavango Delta. 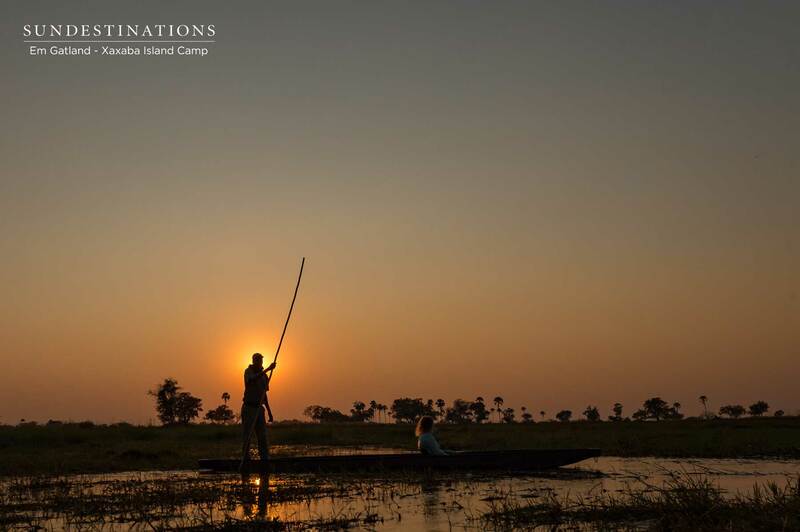 Silently gliding through the waterways, guides take guests closer to nature and to the wildlife in the Delta than ever before. 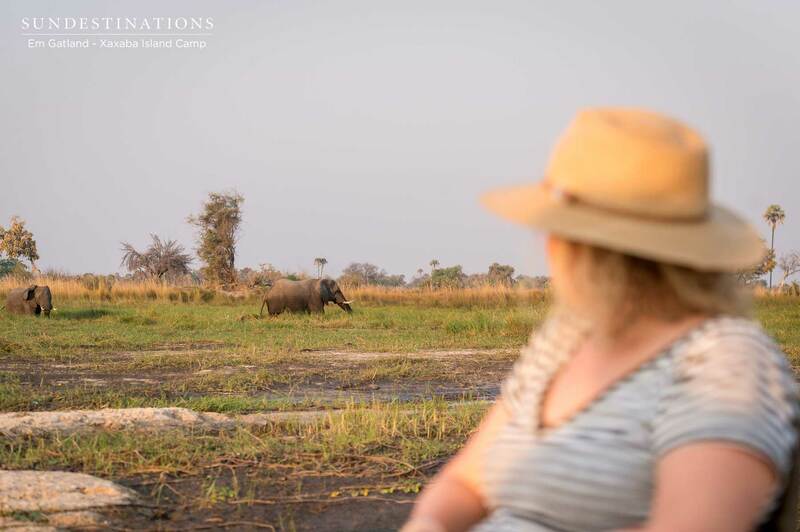 Boating Safaris Enjoy a relaxing boat cruise to and from camp on the open waters of the Okavango Delta. Swimming There are certain sections of the island where swimming is possible. If it is safe, and the water levels are low, guides will take you for a dip in the pristine waters. 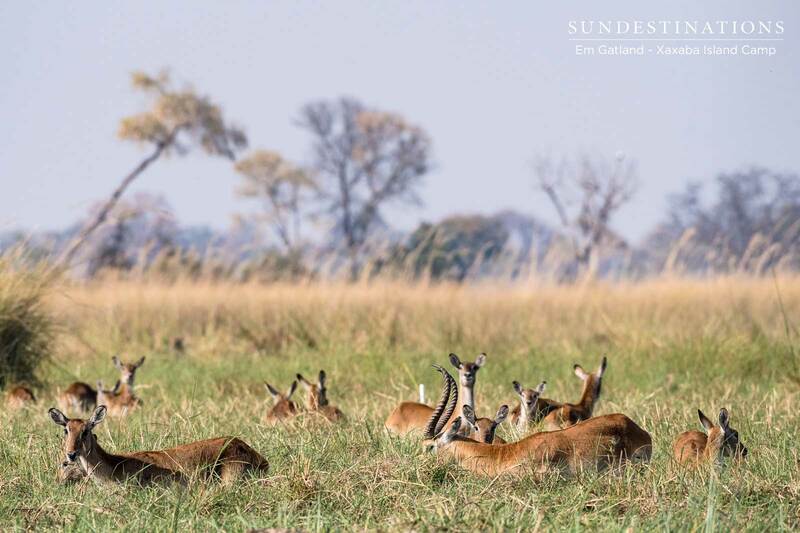 Sundowners Guides will take you to an exquisite set-up on the sandy banks of the island to celebrate golden hour. The structure and itinerary is quite flexible, and determined by group dynamics and presence of wildlife. Activities take place on the waterways and on Chief's Island and Xaxaba Island. This is a water based safari experience, with plenty of set activities on offer. Guests also have the option of indulging in a bit of fishing, but will need to bring their own equipment. The climate in Botswana brings very hot, dry periods (September, October), and also very wet seasons. Winter (June, July, August) packs cold nights and mild, dry days, while November to February is hot and wet. Temperatures in summer soar as high as 40°C bringing warm nights, and humidity levels fluctuating between 50% and 80%. The average annual rainfall is 450mm and most of it falls between December and March in the form of heavy afternoon thunderstorms. In contrast, the winter nights can drop to barely below freezing in the Delta, while daytime temperatures at this time of year are mild to warm. The climate in Botswana brings very hot, dry periods (September, October), and also very wet seasons. Winter (June, July, August) pack cold nights and mild, dry days. Depending on what time of year you travel, you will need certain essentials. Throughout the year, we recommend packing lightweight, neutral-coloured clothing with short sleeves. Bring sun protection in the form of sunblock, sun hats, and glasses. Scarfs, jackets and gloves are needed for early mornings on the boat, especially in winter. Comfortable walking shoes are essential. Bring along cameras, binoculars and recording gadgets to keep a record of the many wildlife sightings. Expect a rustic experience offering unsurpassed game viewing, untouched landscapes and plenty of water based safari activities. Guests will be sleeping in a tent, but it's far from "roughing it". The tented camp is set-up for you, and staff together with the chef prepare meals and serve you drinks. Expect to be comfortable with the essentials, and without the luxurious frills. Activity wise, you will start the morning off with a walk on the famous Chief's Island. Day time is generally at your leisure, which is plenty of downtime and sitting around the campfire. Expect plenty of wildlife, from small birds to elephants wading through the waters. During the night you will hear plenty of animal calls and don't be surprised to hear scuttling around the campsite! 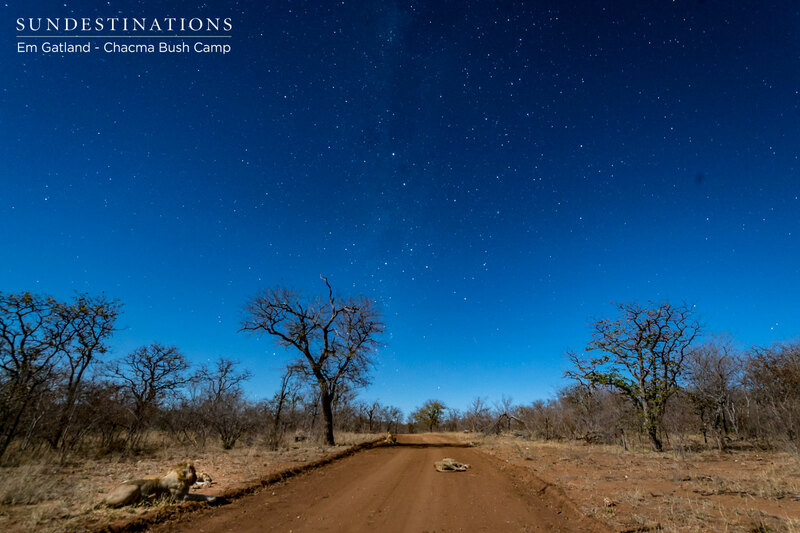 This is an experience for those craving that connection with Africa on a deeper level.